I love the sentiment on that print! And your new space looks great! I’ve been working on getting my new craft room/office all sorted in the new house. It’s a lot of work! Thanks so much Alexis! I’m so jealous of your paper storage… the one big thing I need to address in this space is storage! My work office is a fun, inspiring colour – and beside me we painted a large chalkboard so I can doodle, write quotes, brainstorm, etc throughout the day. I had made some bunting for a baby shower, and I’ve brought it in to my office to add some decor. It’s still a work in a progress, as I returned from maternity leave two months ago, but I’m slowly turning my office back in to a motivating space to work in! Too Fitting! I just sat down for the very first time in my storage room turned home office as I embark on this work from home adventure. I have slowly been trying to make this an inviting space all week. 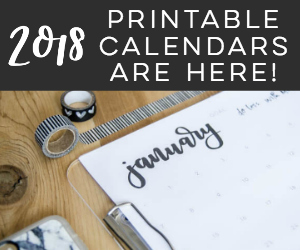 After spending 10 minutes decluttering my desk I popped on here to print your super cute calendars because organization is also a must and found this. I love the candle idea and will be adding it……next time, I cant procrastinate any longer today! I also have on my wall a vision board with pictures and notes to remind me of why I am working so hard and what my goals are. I’m really good at using organization as a tool for procrastination! I think I need to take your idea and create a spot to have reminders of why I’m doing this… sometimes I get so focused on my to-do list I can forget. Currently my workspace is the kitchen table… I love what you’ve done personalizing your space! Really should find another place than the kitchen to make my own.. Also, your ‘help’ is so adorable! That’s why I cleaned out this room! The kitchen table just wasn’t cutting it anymore. Maybe we grew up thinking this was normal? Love ya, sis! So beautiful and conducive to creativity. Is this upstairs or downstairs…can’t figure it out. I couldn’t agree more about keeping things uncluttered. I am so much more productive when I can start a project in a clean and uncluttered area. I also love your tip about the candle and a plant. Lately I am embracing old school taper candles again…how elegant they are! I wish you much productivity and peace in your new space. Thanks so much Erin! This is the extra bedroom upstairs, we just moved everything in to here so we could finish the basement and never moved anything out. These tips are great! I am working on creating a more usable creative space- can’t wait to start with these tips. Thanks so much Brenda! I’d love to hear how it goes. I don’t think the process ever ends- I just printed off a freebie from Persia Lou for my wall! Thanks so much Alisia! You definitely should make it your own- that’s the best part about not sharing a desk/cube! Great tips (and loving that velvet bunting). Thanks so much Sarah! I hope they come in handy :) I have SO much of that bunting left from my birthday party, I had to use it somewhere! Hi there! Great Article. I’m a product/fabric designer who works from home and have never had a truly inspiring work space but always wanted to! Also, I’ve never found the right calendar system that works for me. I use Ical because it syncs between all my devices. My question for you is, with so many calendars how do you not double schedule and question what’s happening on a certain day. Don’t you find it tedious updating so many calendars? The reason I ask is I’ve wanted to try a day planner so I have a place to write notes and keep track of inspiration, but I don’t want to have to dual calendar, kwim? What do you think? Thanks so much Sally! Your job looks like a ton of fun. It’s funny, in town here we have a furniture re-furb shop that’s run by sisters and is called Iron Orchid! Each of the calendars have a purpose so I don’t find it tedious (because it’s rare they have the same things written). The one in my office is my blog planner- so it has posts and contributor deadlines, our budget calendar is to help us figure out when to pay bills and savings and such, the one on our fridge is things we’re doing (or things Shane should know about) and my daytimer is where I plan my days/tasks. I used to try and do it all in one and found it frustrating to decipher what was a deadline and what was an activity etc. If you wanted to stick with digital… I’ve started using Trello to track post ideas and contributor deadlines (as well as the paper on my wall) and it’s fabulous! It’s a free app so I’d definitely recommend giving it a try. What I like about my workspace is it’s my own space! Love how you organized yours and Love your Kate Spade day timer! Love that print! None of my work spaces are Pinterest worthy spots but I’m thankful to have a sewing room with a cutting table and a basement with multiple work areas. Isn’t it gorgeous? I can’t wait to give one away- I’m sure it will be well loved. This is the first time I’ve ever dared take a photo of my workspace. My next project in here is to build a space so I can sew! Probably in the closet :) A sewing room with a cutting table would be heavenly! My work space is pretty boring at the moment. I just have the essentials! I do like that I have two computer screens. Get so much more work done! Thank you for this post! I’m always trying to find new ways to spice up my work space now that I’m working from home, and these tips are so helpful! I always like pictures of loved ones to keep me motivated. I draw inspiration from my daily life, and what better way to conjure up an idea than a picture of my daughter or husband? Thanks so much for sharing these! Unclutter and a calendar handy turned out to be two of my smartest moves in my little workspace too. Great hints–funny how those little changes add up! The trolly is the best! I’m considering spraypainting it… but the metal mesh and all the pieces make me a bit nervous to try… think it would work? Thanks so much Amanda! I still feel like it’s a work in progress (shelves to be going up this week!). 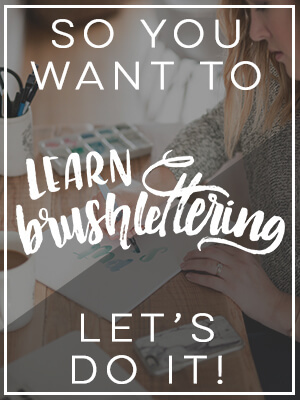 I can’t believe I forgot to add uncluttered to this list… I think I’m going to have to go in and update it! Oh my gosh Colleen!! It’s looking so beautiful already AND I’m just so touched and happy to see my printable on your wall!! You totally made my day!!!! :) :) :) Thank you!! I can’t wait to see how everything comes together. xo! Aw thanks so much Laura! When I saw it I knew it would be perfect in here :) Shelves should be going up later this week, I can’t wait to see how it comes together! Colleen…love the tips. Thanks, as always, for linking up at Sunday Features. I really appreciate you. Sharing on FB today. cute!!! where did you find the cute pink/white honeycomb list near the lamp? I totally forgot to source that! I actually won it (woohoo!) from a giveaway at The Merry Thought… it’s from Well Press and that notepad just ended (sadly).